If you’re in a job search – or thinking about entering into one – you’ve concluded that life isn’t a exactly a bowl of cherries these days. There’s conflicting counsel from university career centers, social media icons, recruiting leaders, heads of people, news outlet writers, and even your own family as to how best find a new professional oasis – and often the advice is nonsensical and counterintuitive. Yet I’m sure you haven’t heard from the latest – and perhaps greatest of all experts…Honey Boo Boo. Alana and her family sure do have class – and crass – covered. Yes, job search – just like recruiting – is a contact sport; you simply cannot expect a positive outcome if you aren’t willing to get down in the mud, shake hands, and meet people. 140 alone will not get you a job nor will spending all your time “building your brand”; it’s critical that you get the heck away from your computer. It is vital that you know what motivates you to do well and assess whether the new job and the new manager will offer you the environment and leadership to help you perform your best; settling for something that won’t work for you is a disaster waiting to happen. It’s really okay to say “NO” to an offer if you ain’t a-hollerin’ by it; believe me – the recruiter and hiring manager will appreciate your honesty and might just make a few calls on your behalf. Honey Boo Boo knows that you won’t become a beauty queen if you don’t take the stage. Underlying this principle is that the best people tend to participate in activities that get to showcase their skills and abilities; they lead, present, and volunteer at local associations. Are you doing these? You have to believe in yourself if you want to achieve that goal of being the person selected for the role; there will be times when you’re down on yourself – let others know this and tell them to pick you up. You know the wisdom – your attitude dictates your altitude (of course you also have to be realistic and in the case of Honey Boo Boo, have a great shtick and a wack-nut of a mother who believes in you) – so don’t succumb to the “woe is me” disease. See above…and don’t make a pig of yourself either; share the job leads that wash across your transom with others who also need them. Listen to the people who know you very well; they’ll tell you if pig-feet bobbin’ is for you. Sorry. Had to toss this one in even though I have no idea how it relates to a job search; if you can relate this to a job search and I laugh, I’ll help you with your resume. Yet always remember that you have two ears and one mouth – so use them proportionally. Yup… It’s important to look good when you’re in a job search; at any time you may be in a position to meet someone who can open the door for you…It might mean pulling up your pants so they’re not hanging halfway down your arse or showing just a bit less décolletage or tossing out a few less epithets. And for certain, keep the vajiggle jaggle at home. I’m guessing this has something to do with being authentic but I’m sure afraid to ask. Pride in knowing what you want to do – and what you don’t want. Pride in creating a resume that speaks to the hiring manager. Pride in researching the company, the industry, the function, the recruiter, the hiring manager. Pride in being honest (“Steve, after listening to you describe the job and the problems to be solved and the style of the hiring manager, it isn’t the right role for me; however, perhaps I can help you identify people who might find it more to their liking”). 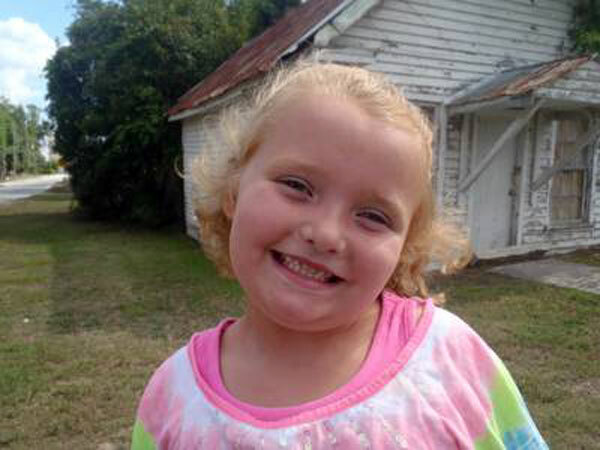 Honey Boo Boo sure knows herself; how well do you know what you want in both the short and longer terms? Higher salary? New job title to impress? Greater responsibilities? Different location?